We have had this clock for many years and love it but must down-size. 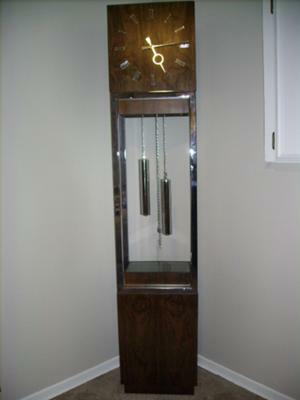 It is Rosewood and chrome, with a frosted glass piece on the bottom pice, and a light inside that. Does anyone have any idea what we should be asking for it? Just wondering if you ever sold this clock. Been looking for this style.